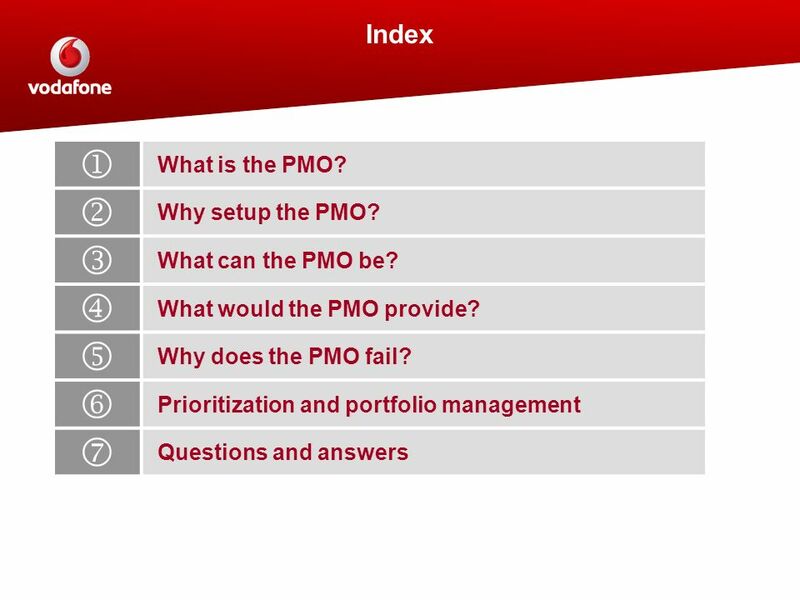 3 j k l m n o p Index What is the PMO? 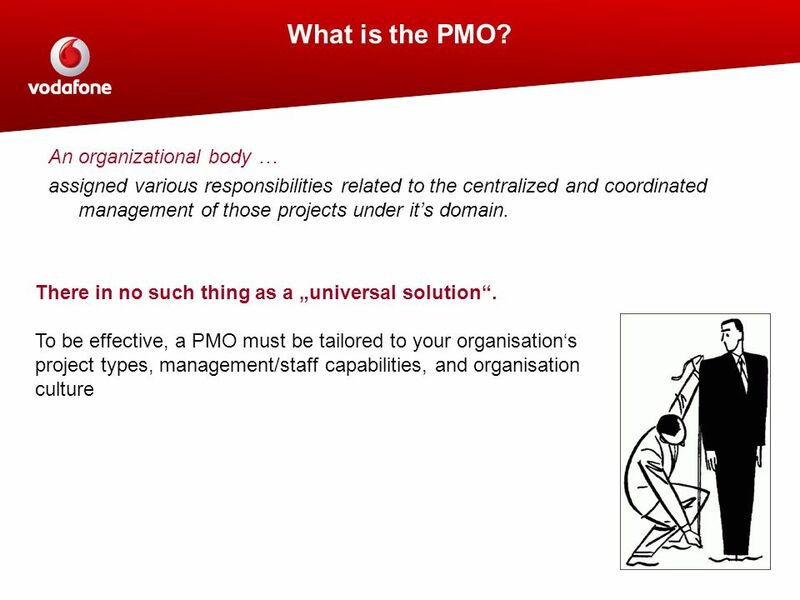 Why setup the PMO? 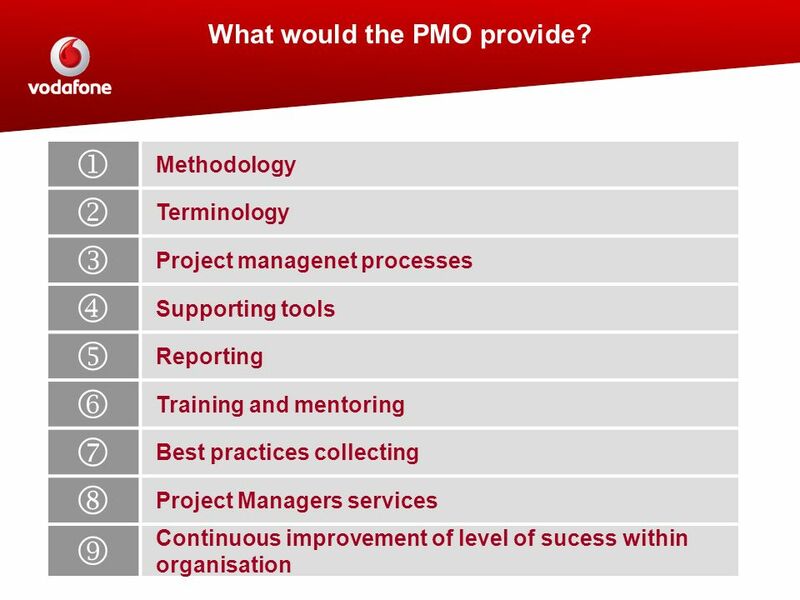 8 What would the PMO provide? 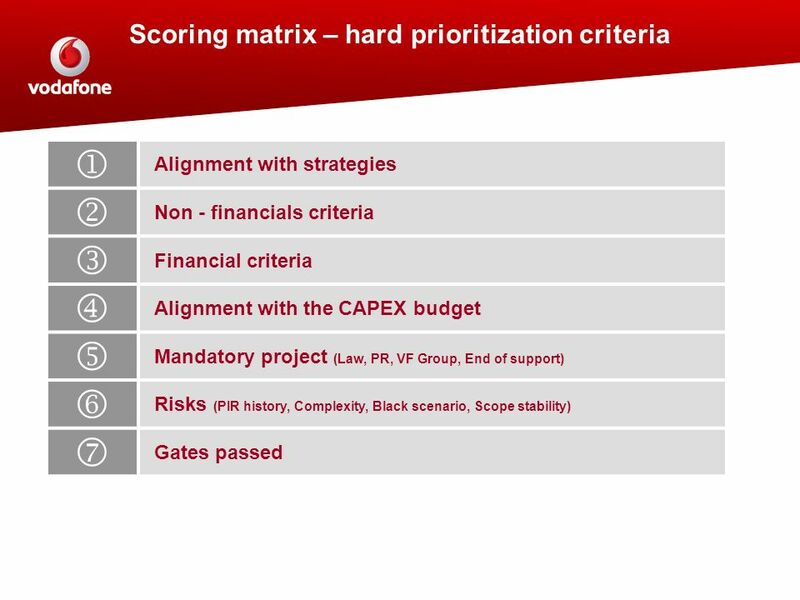 10 Prioritization and portfolio management? 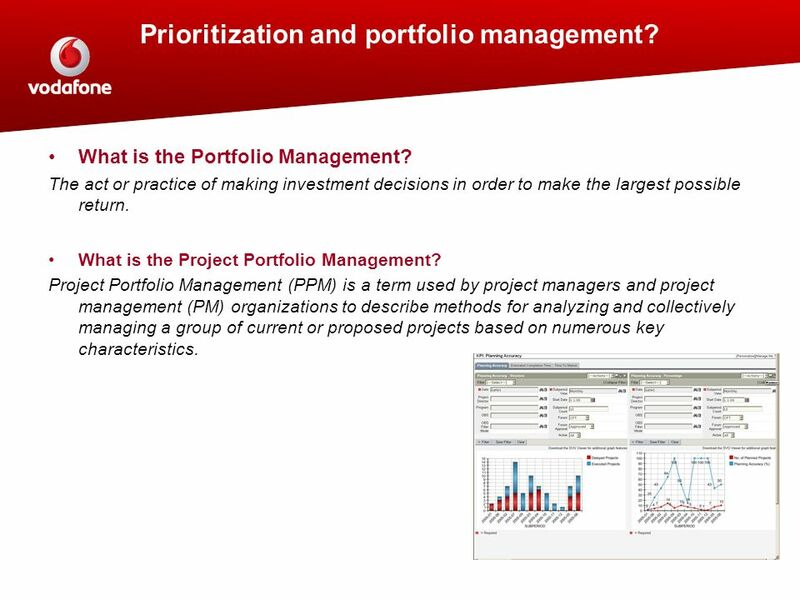 11 Why setup the Project Portfolio Management? 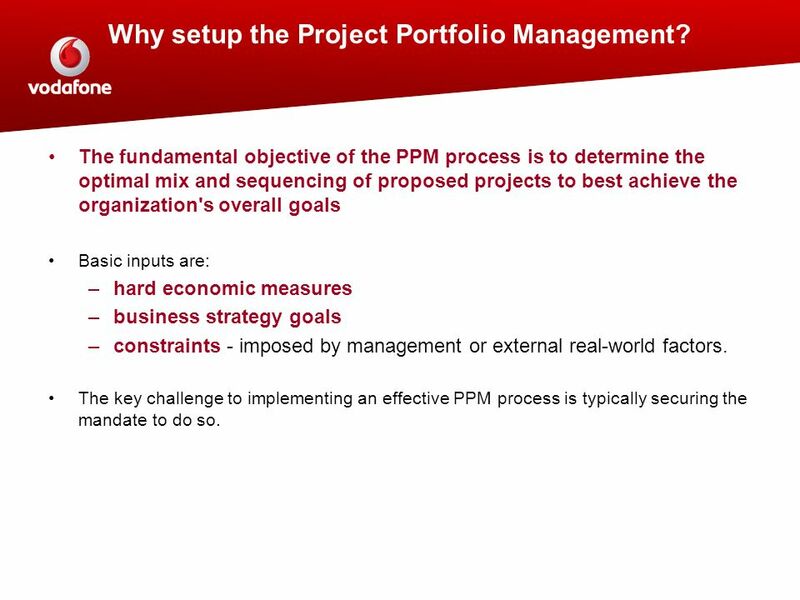 The fundamental objective of the PPM process is to determine the optimal mix and sequencing of proposed projects to best achieve the organization's overall goals Basic inputs are: hard economic measures business strategy goals constraints - imposed by management or external real-world factors. 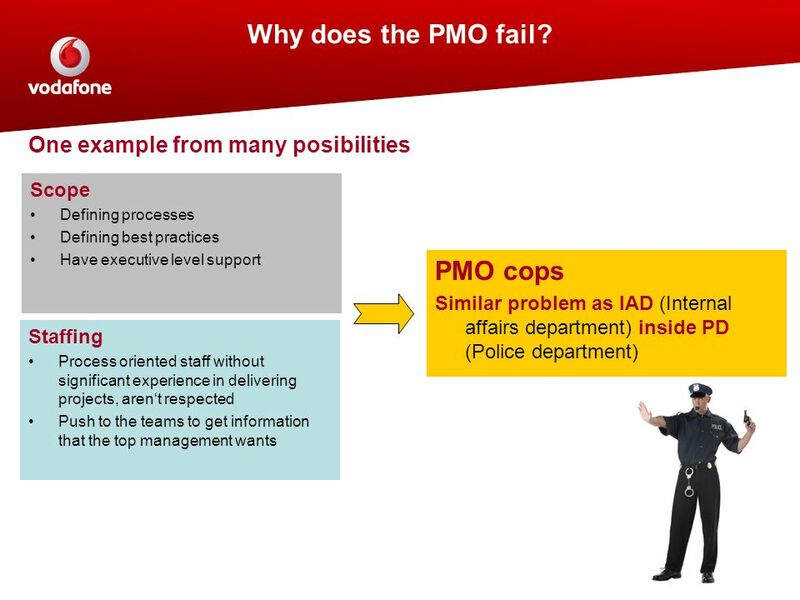 The key challenge to implementing an effective PPM process is typically securing the mandate to do so. 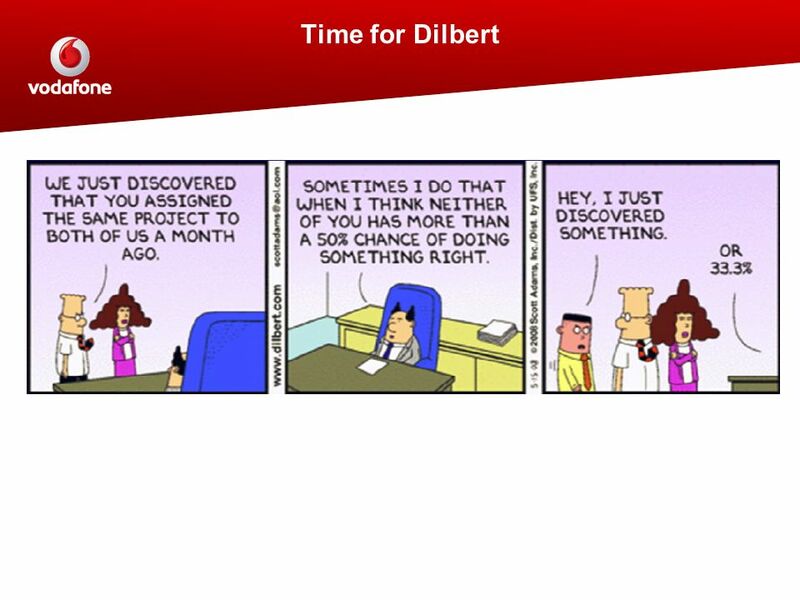 Prioritization is about selecting the best investments from many, the ones that will deliver the most value and the ones that will differentiate us from the rest. WHY? 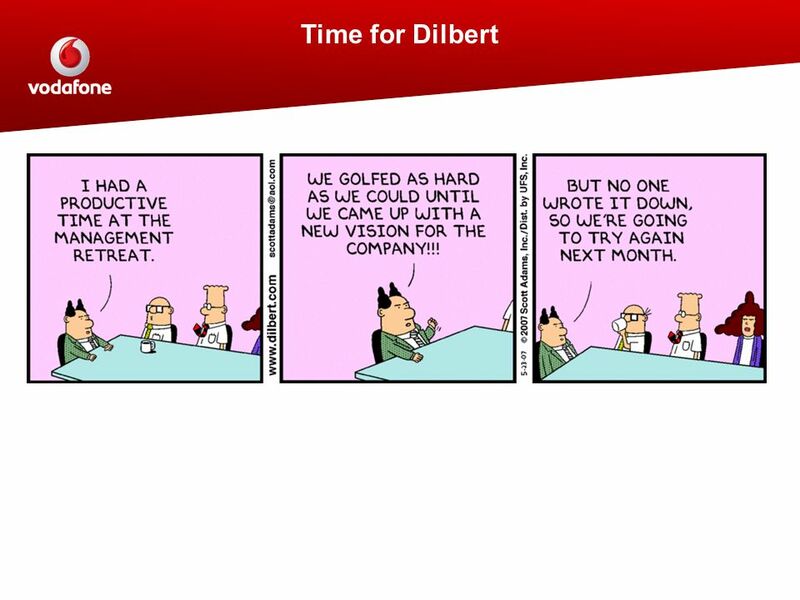 Because we have limited resources mainly the IT development area (Vendors) and internally as well. 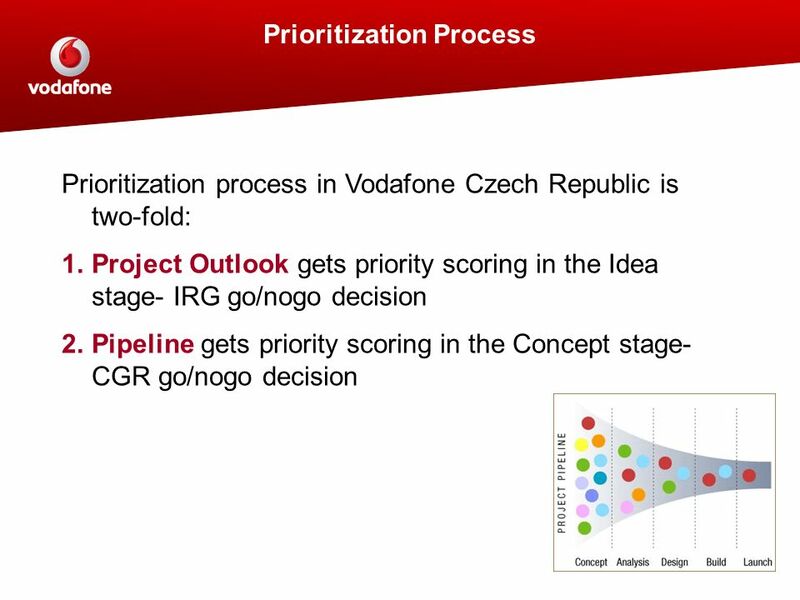 1st all investments that consist of multiple business requirements usually generating requirements also from other departments. 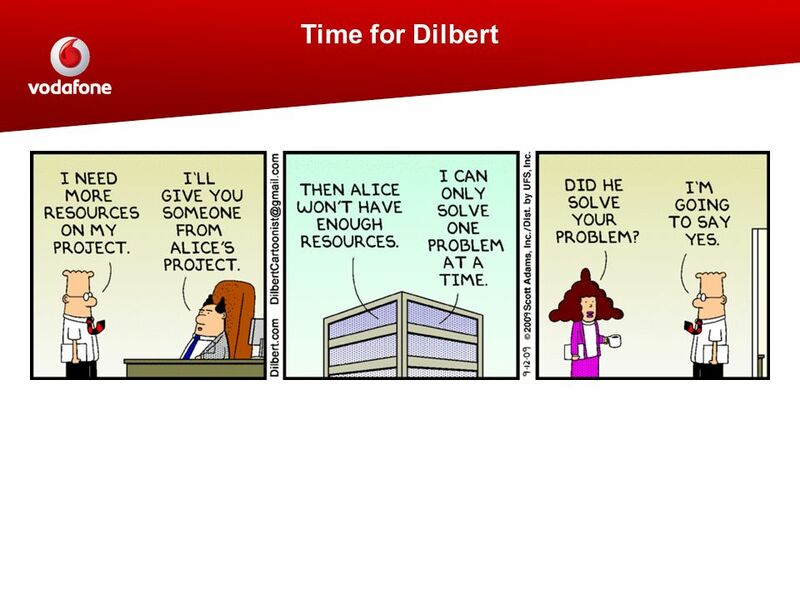 Application development or maintenance effort needed to implement all the requirements exceeds 30 man-days. 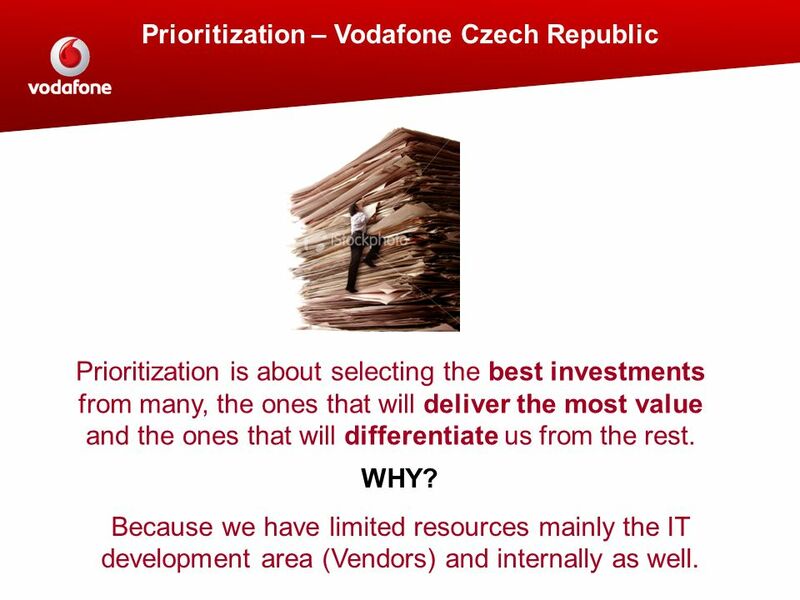 2nd If no application development or maintenance resources are needed then the second criteria is the total required CAPEX budget exceeds 1,5 M CZK. 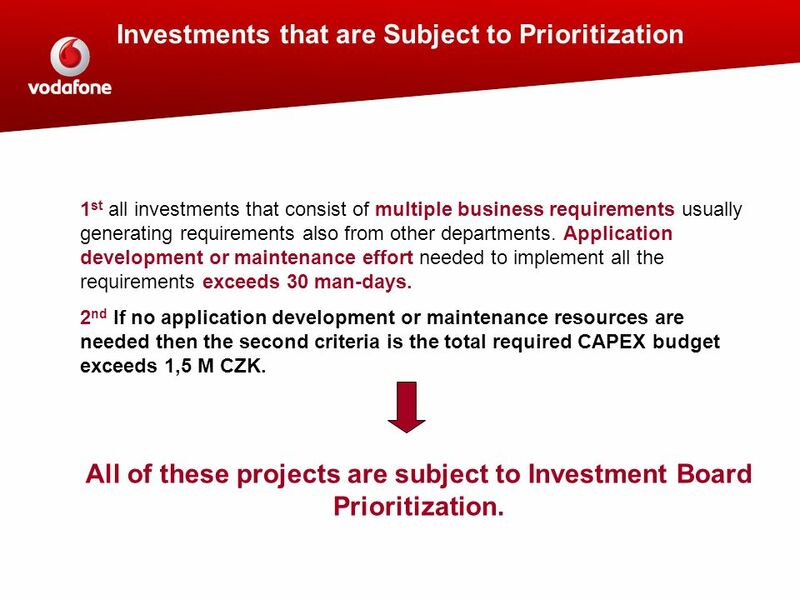 All of these projects are subject to Investment Board Prioritization. 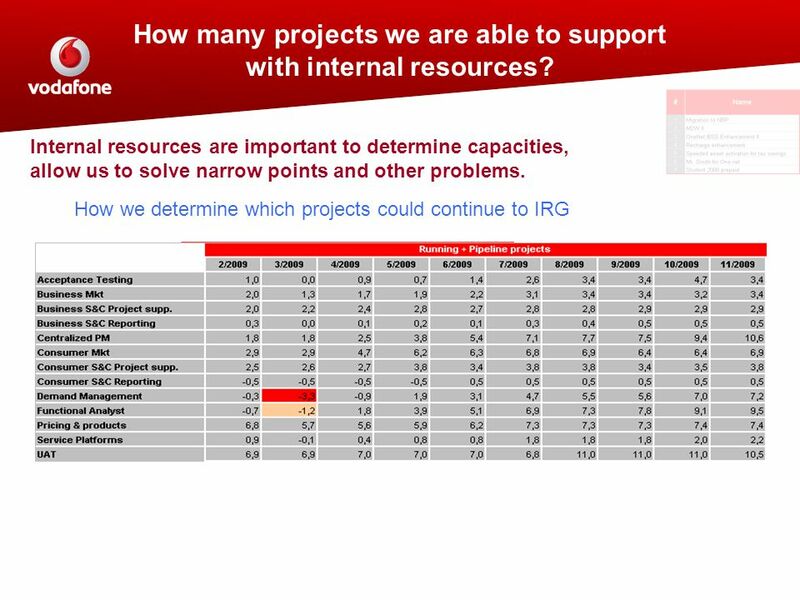 22 How many projects we are able to support with internal resources? 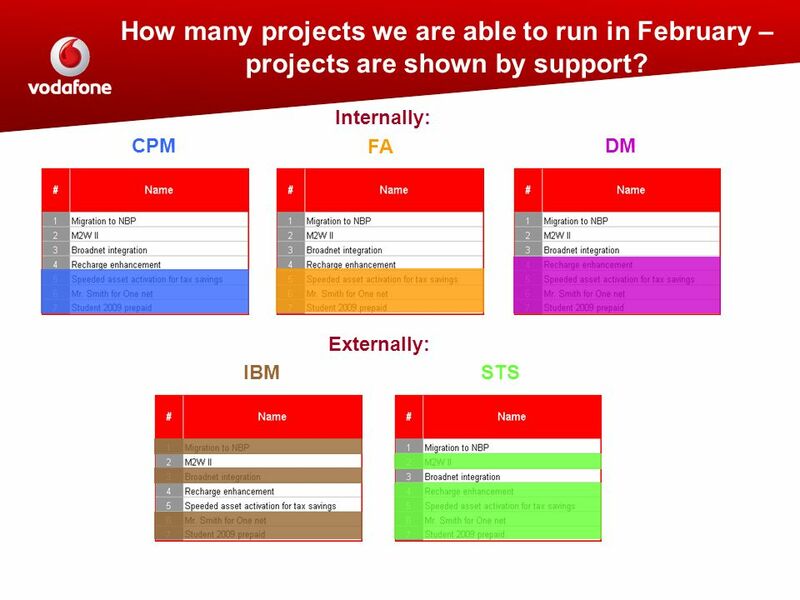 23 How many projects we are able to run in February – projects are shown by support? 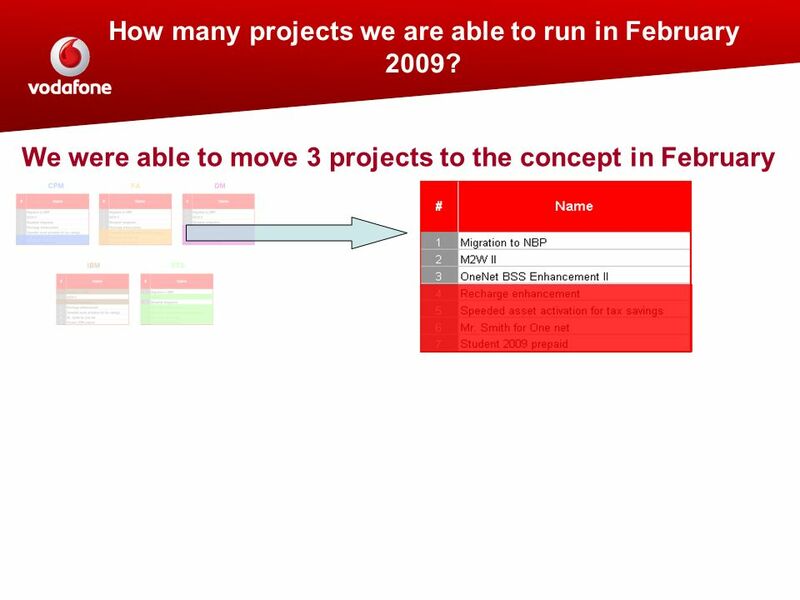 24 How many projects we are able to run in February 2009? 27 Questions? 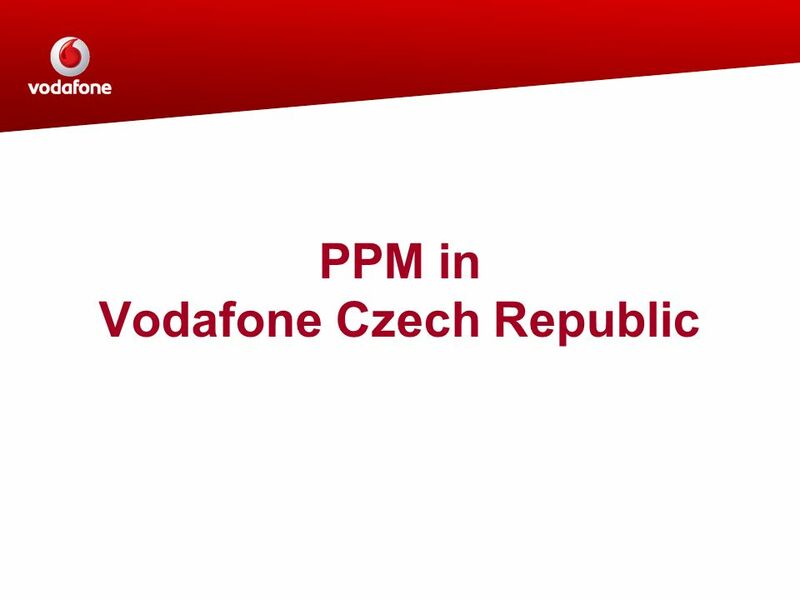 Jaké jsou charakteristiky organizace, u níž má smysl řídit portfolio? Od jaké velikosti, druhu podnikání apod. 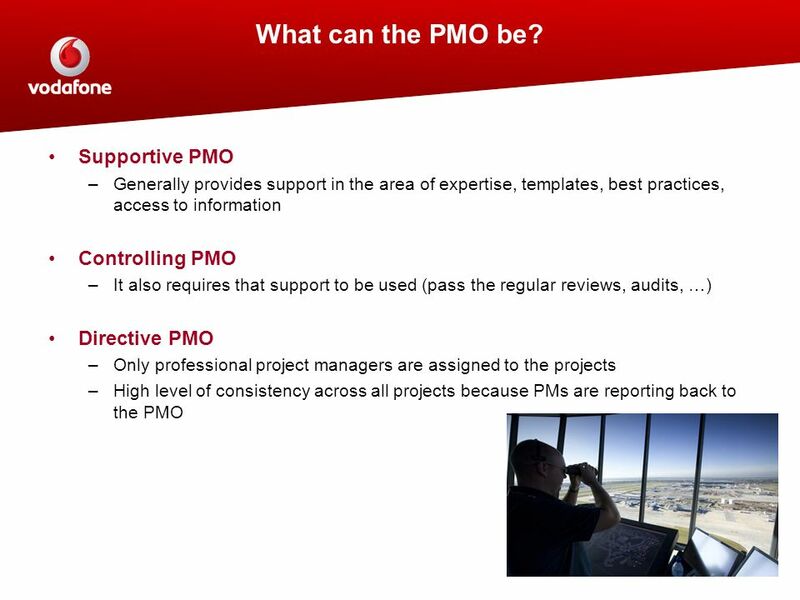 Download ppt "PMO & Project portfolio management"
Copyright Clarion Consulting 2007 Clarion Consulting Project Management Practices in Irish Organisations Dublin September 12 th, 2007. 1 of 21 Information Strategy Developing an Information Strategy © FAO 2005 IMARK Investing in Information for Development Information Strategy Developing. 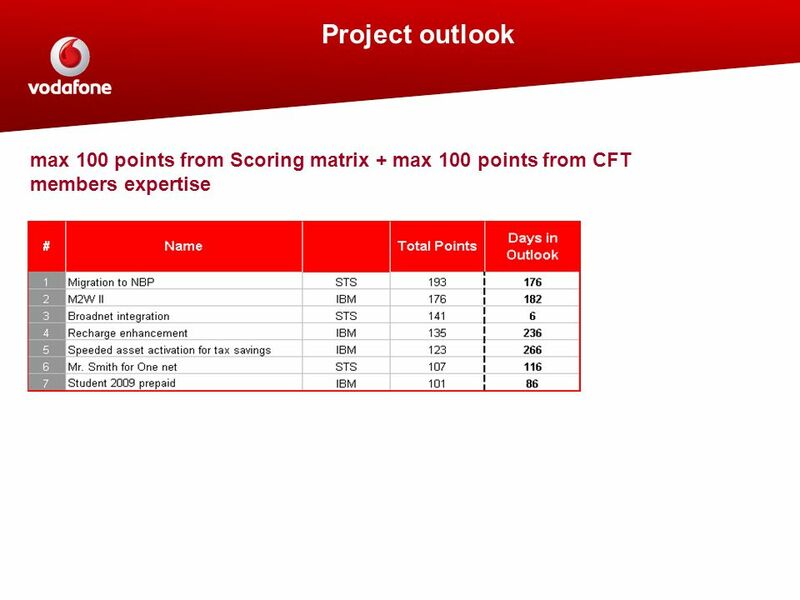 University of Glasgow Major Capital Projects Project Governance Gateway Process. 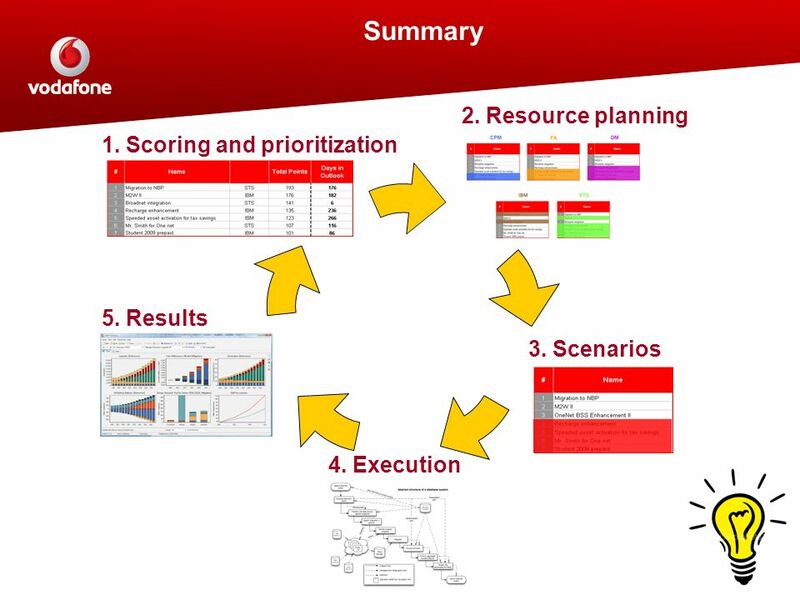 PROJECT MANAGEMENT OFFICE JOURNEY FROM 2010 TO PRESENT 2012. 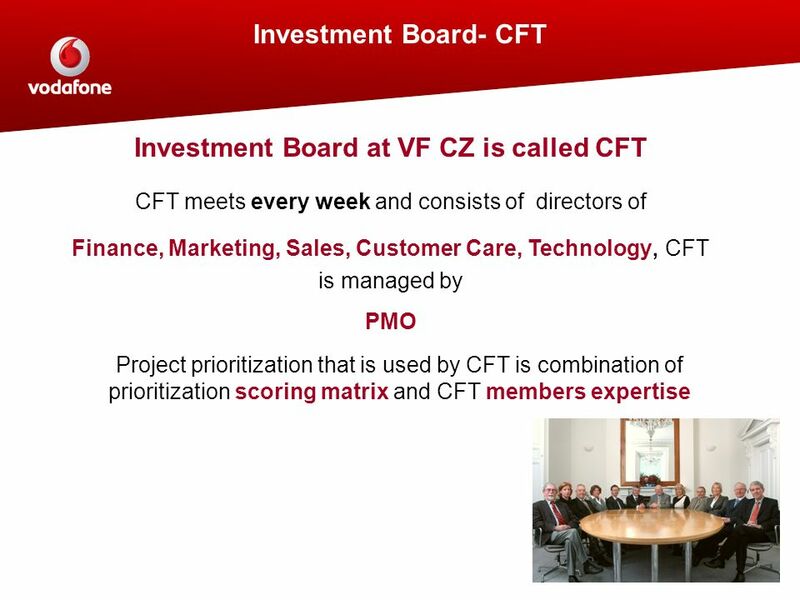 Overview of Portfolio Optimization By Tim Washington September 14 th, 2011. 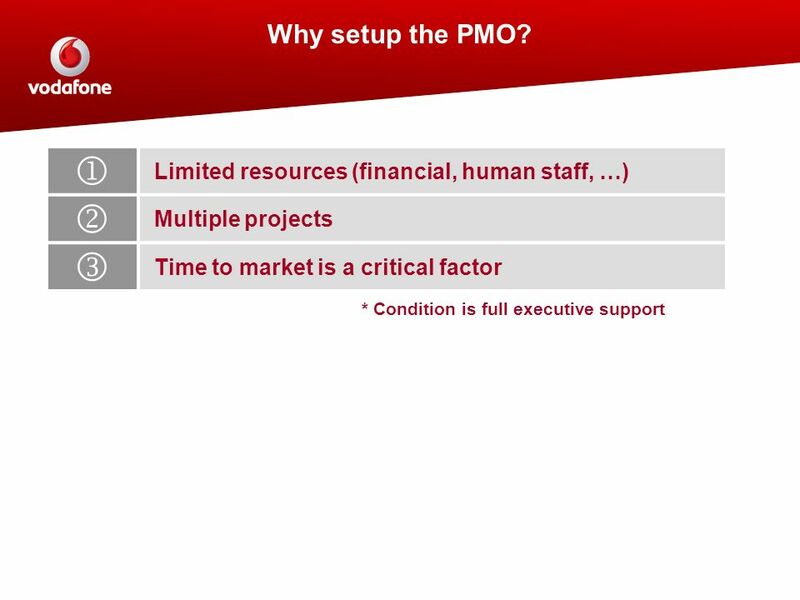 Should You Establish a Project Management Office (PMO)? 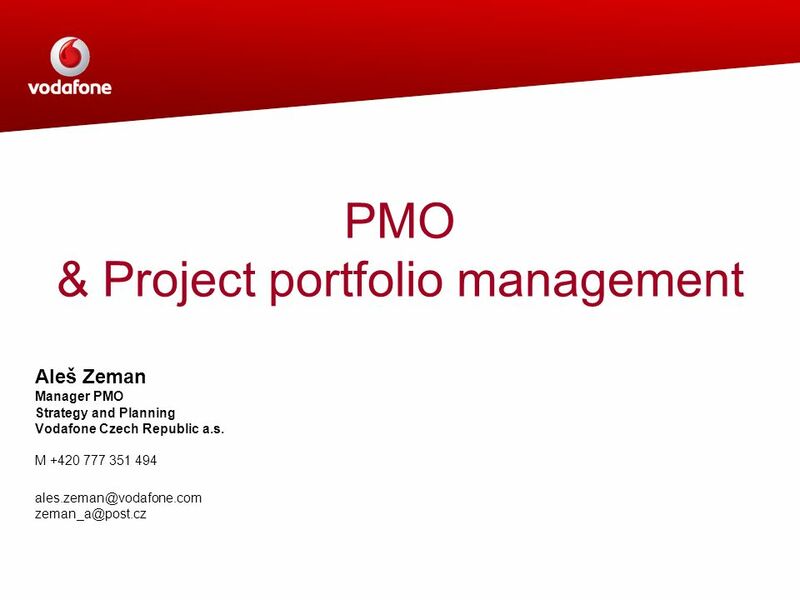 Project Portfolio Management for Everyone Knowth Consulting Presents. 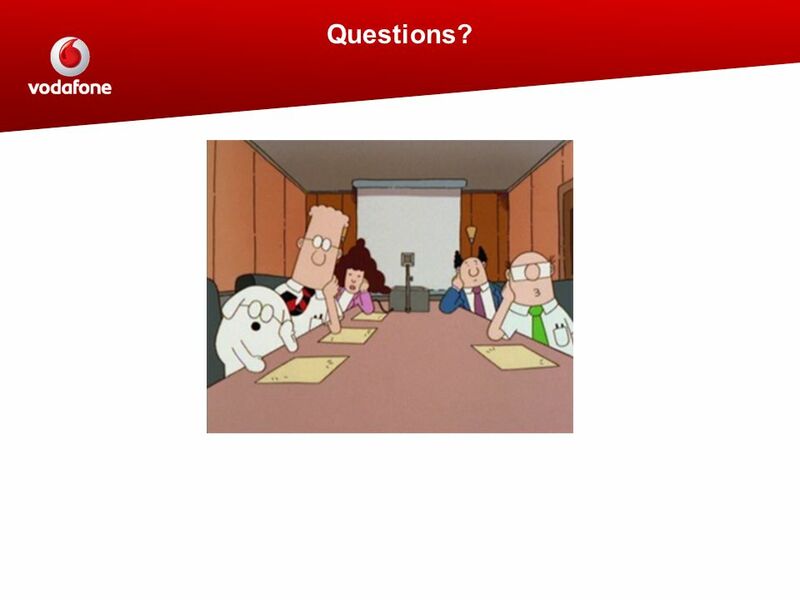 AUDIT COMMITTEE FORUM TM ACF Roundtable IT Governance – what does it mean to you as an audit committee member July 2010 The AUDIT COMMITTEE FORUM TM is. © 2007 EPK Group, LLC. All Rights Reserved. 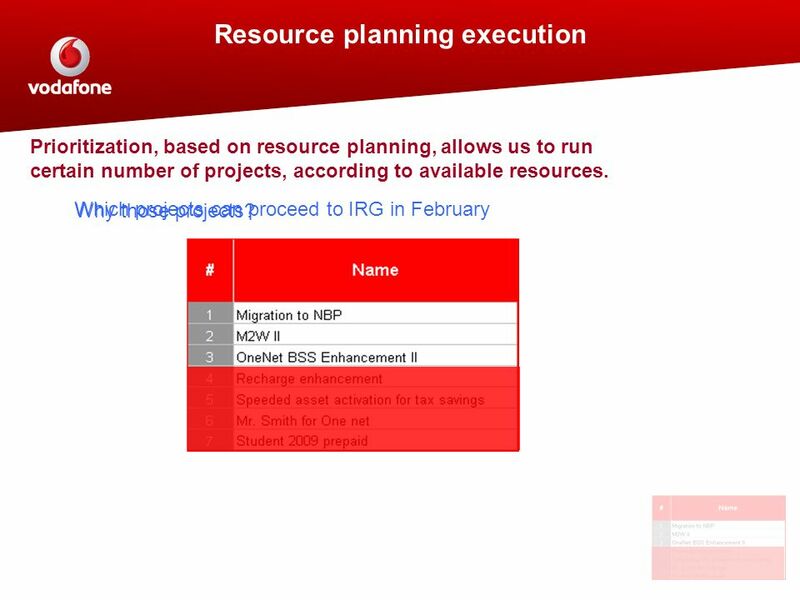 Fast Track ROI For Portfolio, Project, And Resource Management Rich Murphy Founding Partner EPK Group LLC. IT Governance Portfolio and Project Management in State Government Chris Cruz, Chief Information Officer, California Department of Food and Agriculture. Jump to first page Dr. Henry Deng Assistant Professor MIS Department UNLV IS 488 Information Technology Project Management. 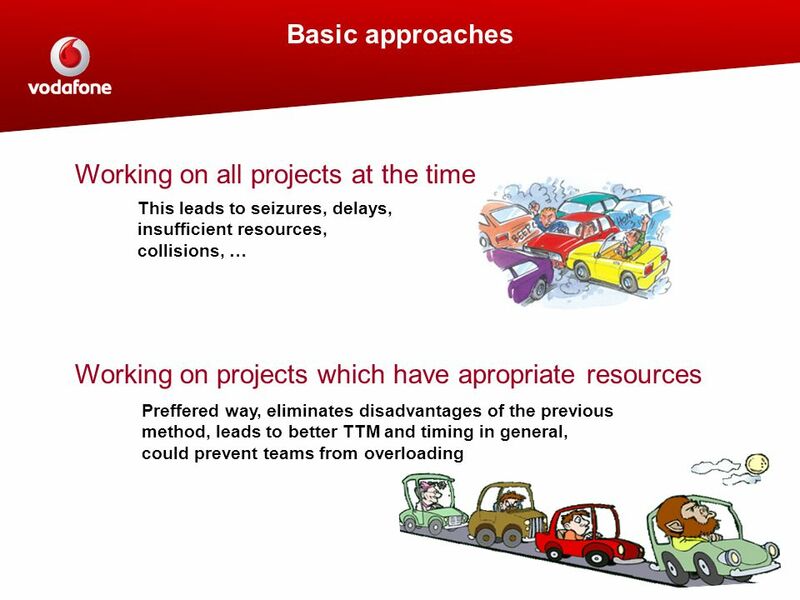 © Copyright MetaPM 2007 Page: 1... helping clients achieve maximum business value from project management The importance of a coherent approach to project.